This year, technically, the season began with the autumn equinox late on September 22. It is cooler than the same time last year, cooler than summer's torrid heat. Trees are no longer quite so green but - still producing chlorophyll that conceals the warm colors of yellow, orange, red. There are signs and portents. 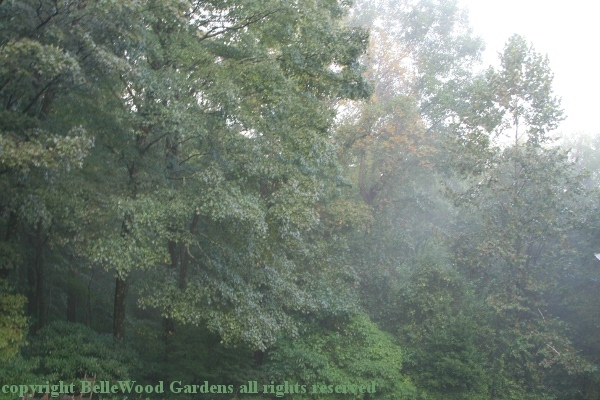 As the first line of John Keats poem, "To Autumn" remarks, "Season of mists and mellow fruitfulness," . Small Italian blue plums are again available in the supermarkets. My Garmin GPS was taking me around Murphy's barn while demanding I make a U-turn. I finally recognized the general area where I was ,and decided to visit Bamboo Brook before going to the Frelinghuysen Arboretum for Fungus Fest. More about that later. I was the only visitor. 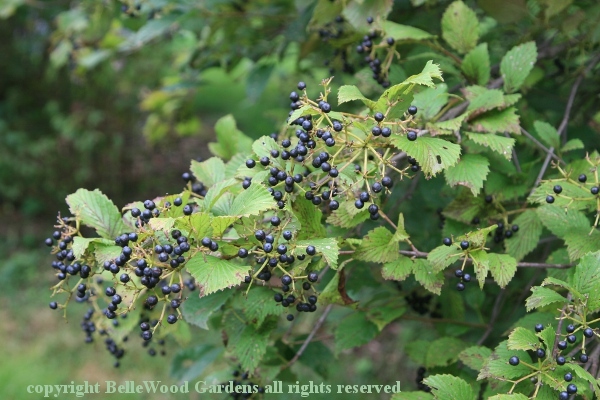 Spent better than an hour wandering around looking as the last of summer annuals, first of autumn's perennials, and fruiting shrubs. our winters are too cold. 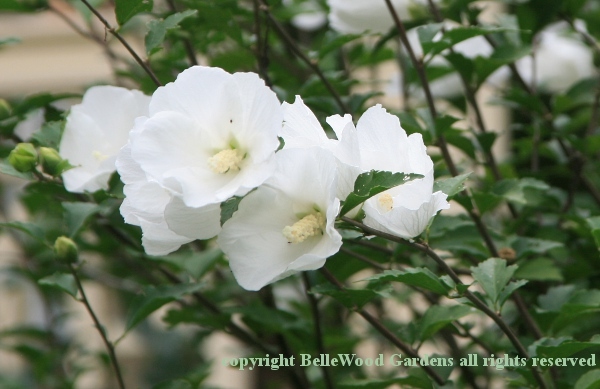 In Texas it would be a weedy perennial shrub. self-sown, when next year comes around. Welcome, here. 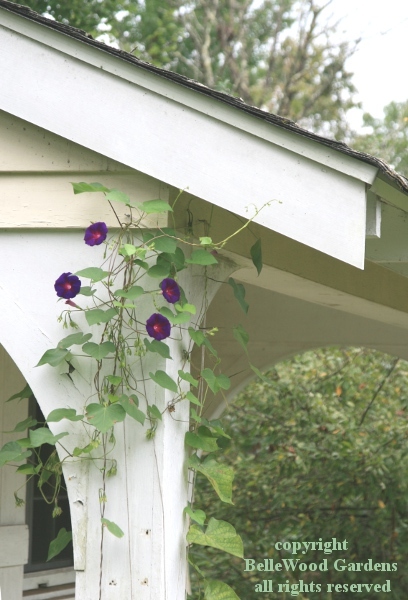 Grandpa Otts morning glory is another self-sowing annual. 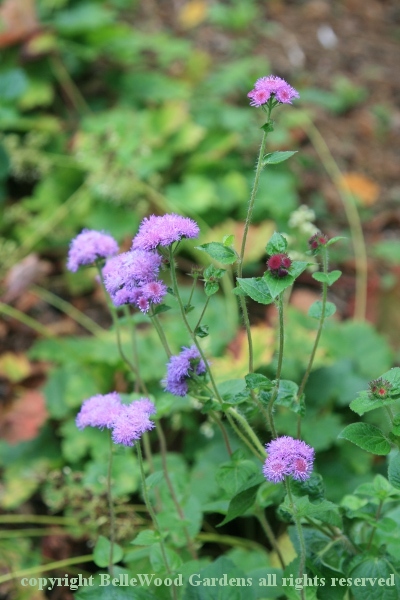 Looks like the familiar annual ageratum, just somewhat taller. Nope. 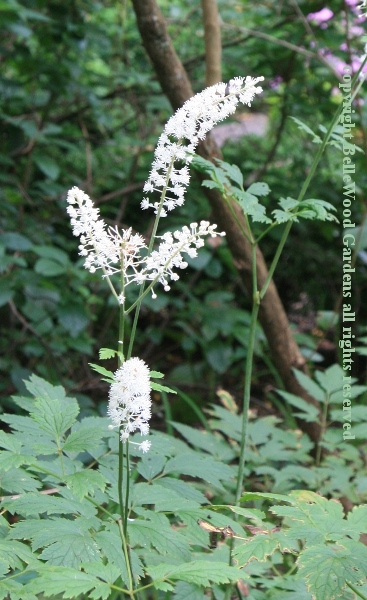 Instead it is Eupatorium coelestinum, or as some prefer, Conoclinum coelestinum. 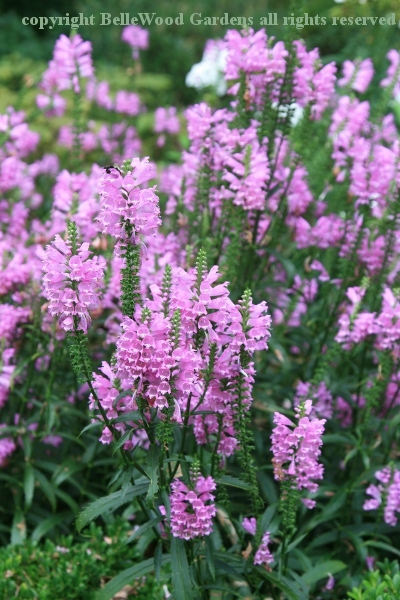 Not only it it perennial. but also native to central and southeastern United States. And the West Indies. 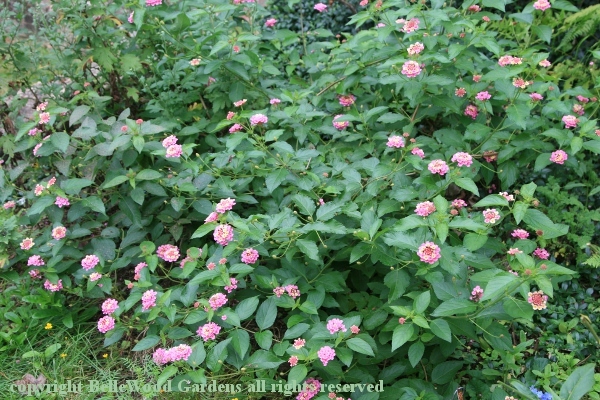 Nicely hardy too. 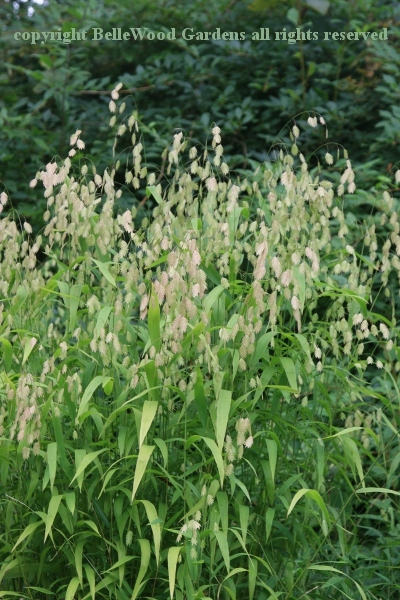 I see this in flower along roadsides, creating a colorful tapestry with masses of goldenrod. 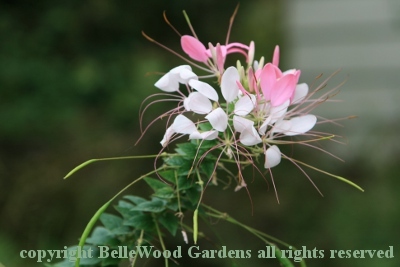 Our wildflowers are often more revered abroad, where they are exotic rather than native. In England where they call it Michaelmas daisy, rather than a ditch plant it is a revered perennial for the autumn garden. 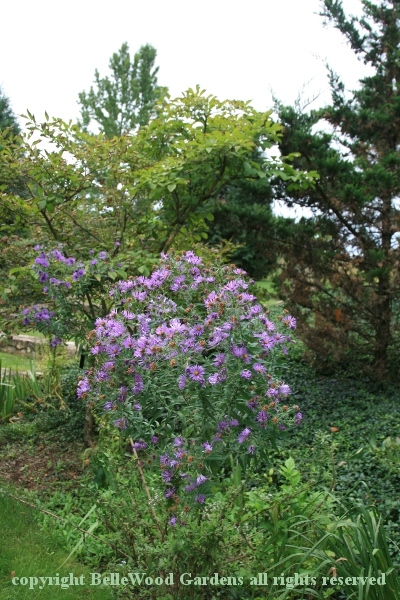 We should, as here at Bamboo Brook, invite Aster novi-belgii into our gardens. 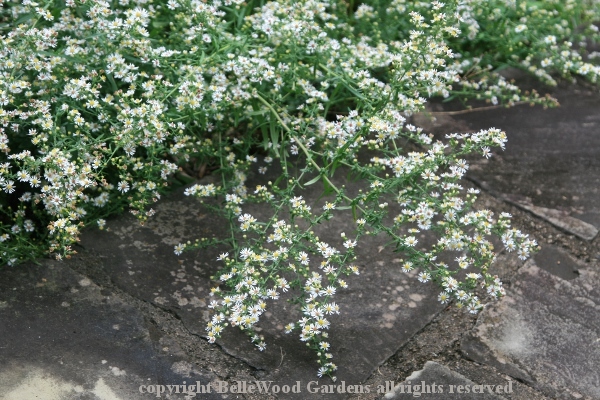 Another lovely native aster, Aster lateriflorus, splayed like lace over a path. Bugbane, what an unappealing common name for Cimicifuga sp. 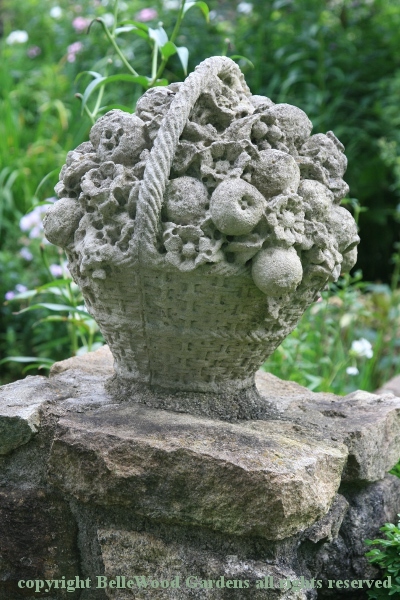 arrangement. 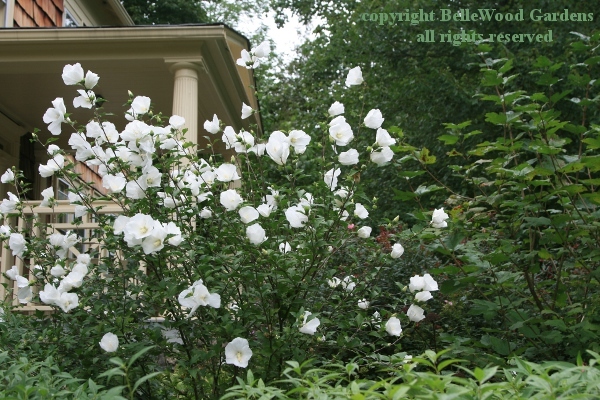 A lovely native perennial for summer's ending. 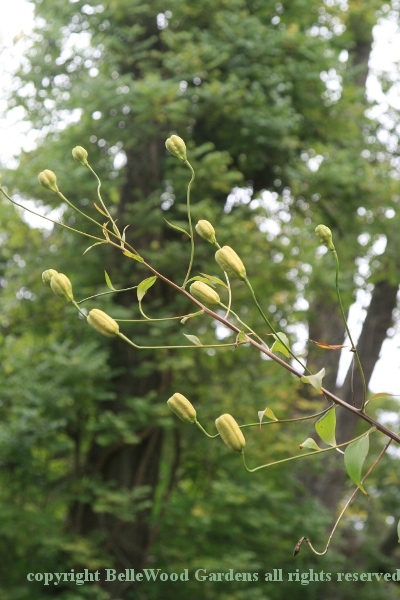 these fat pods on the lilies, swelling with seeds. that takes some shade, growing at woodland's edge. fallen off, or if the birds are starting to carbo-load for their migration. 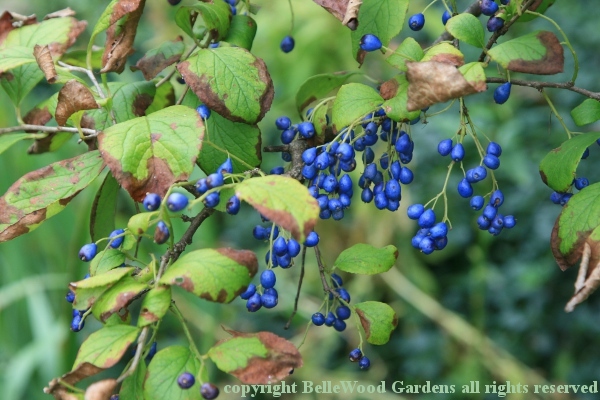 No wonder that Symploccos paniculata is called sapphire berry. 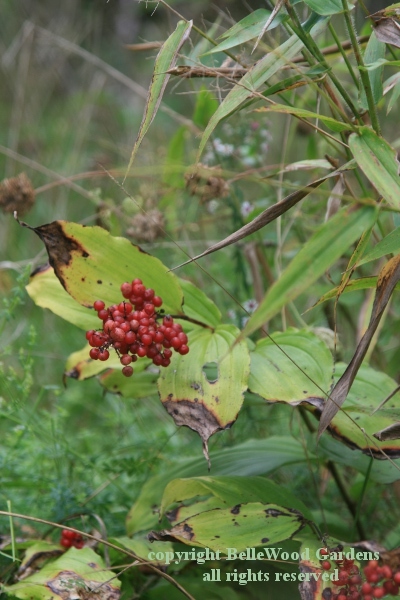 False Solomon's seal, Smilacina racemosa, is also fruitful. "Season of mists and mellow fruitfulness." Indeed.